Qsymia is one of the latest weight loss drugs to be approved by the FDA, deemed effective for adults with a body mass index (BMI) of 30 or greater. 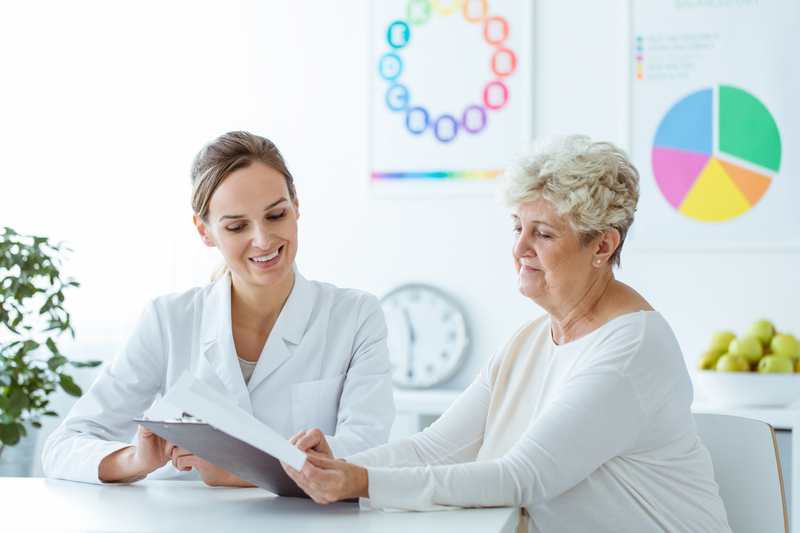 In addition to a reduced calorie diet and increased physical activity, clinical studies have shown Qsymia to be an effective tool for weight loss. Clinical studies and real life experiences are providing proof that Qsymia can help even the most overweight adults lose weight, providing hope to those who have nearly given up their question for a healthier life. In one clinical study, 1,267 obese patients were evaluated. The patient’s BMI ranged from 35 to 79. Some patients were given Qsymia, while others were given a placebo. 58 percent of the patients in the Qsymia group completed one year of treatment vs. 47 percent in the placebo group. Participants who took 15 mg/92 mg (the top dose) lost 10.9 percent of their body weight, while participants taking 3.75 mg/23 mg (the starting dose) lost 5.1 percent of their body weight. The placebo group lost 1.6 percent. 67 percent of patients who took the top dose and 45 percent who took the starting dose achieved a 5 percent or greater weight loss after one year vs. 17 percent of those who took a placebo. Studies show that losing as little as 5-10 percent of your body weight can make a tremendous impact on your overall health. Besides, weight loss provides you the encouragement of knowing you can do it. That encouragement may be just what you need to keep the healthy lifestyle going. Qsymia contains phentermine and topiramate extended release. It is believed that the combination work together to reduce appetite, thereby decreasing food consumption. 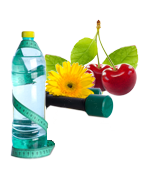 The medication should be used with a reduced calorie diet and increased physical activity. Although it is not known if Qsymia alters your risk of heart problems or stroke, or death due to heart problems or stroke, it is known that with weight loss can usher in a reduction in other weight-related conditions. It is not known if Qsymia is safe and effective in children under 18 years of age or if it is safe and effective when taken with other prescription, over-the-counter, or herbal weight loss products. After taking a detailed health history, your healthcare provider will have a better sense of whether Qsymia might work for you. Be sure to tell your provider about all drugs, including over-the-counter and herbal, that you currently take. Even though it may be embarrassing, it is important that your healthcare provider know if you take street drugs of any kind. Also tell your provider about any medical conditions you have had, even if they occurred years ago. No bit of information is too small. Each piece will help your provider point you in the right direction. are allergic to topiramate, sympathomimetic amines such as phentermine, or any of the ingredients in Qsymia. This list underscores the importance of carefully answering all your healthcare provider’s questions and giving your provider a full picture of your health history. The best weight loss drug for you will work with your particular situation. If you have not lost a certain amount of weight within the first 12 weeks, expect your healthcare provider to tell you to A) stop taking Qsymia, or B) to increase your dosage. Do not stop taking Qsymia without talking to your healthcare provider first. Suddenly stopping Qsymia can cause serious problems, such as seizures. If you do decide to stop, your healthcare provider will help you taper off. Concentration, memory, and speech difficulties. Qsymia can affect how you think and can cause confusion, trouble concentrating, attention problems, and difficultly speaking. Mood changes and trouble sleeping. Qsymia may cause mood problems or depression. It may also impact your ability to get to sleep or stay asleep. Low blood sugar. People with type 2 diabetes mellitus who also take medications used to treat type 2 diabetes can experience hypoglycemia while taking Qsymia. If you are diabetic, check your blood sugar regularly. Kidney stones. Drink plenty of fluids while taking Qsymia in order to help decrease your risk of getting kidney stones. Symptoms of kidney stones include severe side or back pain and/or blood in your urine. Call your doctor if you believe you may be suffering kidney stones. Possible seizures if you stop taking Qsymia too quickly. Inform your healthcare provider if you have any side effects. It is important that you not keep this information to yourself or assume that they will go away. Your healthcare provider can help you understand what’s happening and can walk you through the process. Do not drink alcohol while taking Qsymia. Do not drive a car, operate heavy machinery, or take part in other dangerous activities until you know for sure how Qsymia affects you. Do not get pregnant while taking Qsymia. Inactive ingredients: methylcellulose, sucrose, starch, microcrystalline cellulose, ethyl cellulose, povidone, gelatin, talc, titanium dioxide, FD&C Blue #1, FD&C Red #3, FD&C Yellow #5 and #6, and pharmaceutical black and white inks. Qsymia should be stored at room temperature, 59 degrees Farenheit – 77 degrees Farenheit. Once you have tried and failed to lose weight a number of times it is easy to believe that it simply cannot be done. What Qsymia clinical trials have shown is that even very obese people can lose enough weight to put them on the path to a healthier life. The first step is deciding that now is the time to talk to your healthcare provider and to explore your many options. Weight loss is not a journey that you have to take on your own. We are here to provide advice and experience, to make this the one time that really works for you.